Sony recently refreshed its line of laptops in line with the launch of the latest iteration of Microsoft’s massively popular operating system, Windows 8. 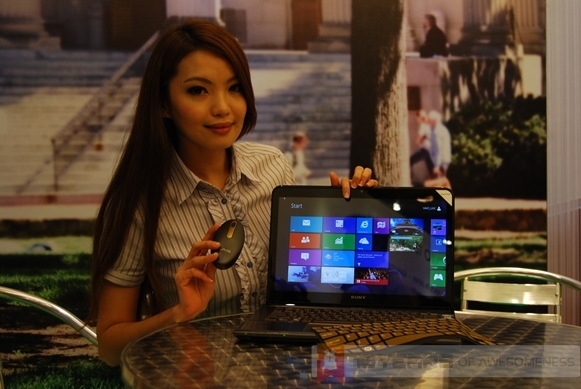 With a Windows 8-optimised device for every target market, Sony looks to be more than ready for the huge interest in Windows 8 products. Read on to explore the latest and greatest from Sony. 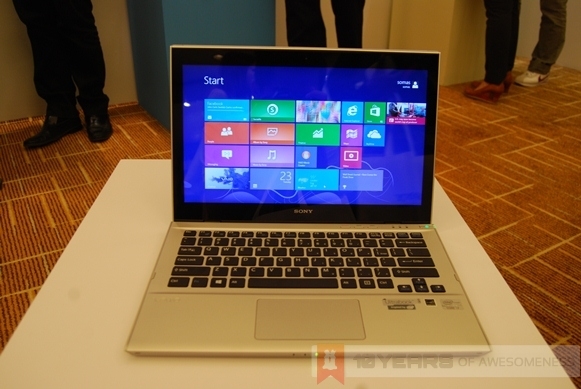 For starters, Sony announced a new addition for the everyday consumer with the VAIO E Series 14P laptop. 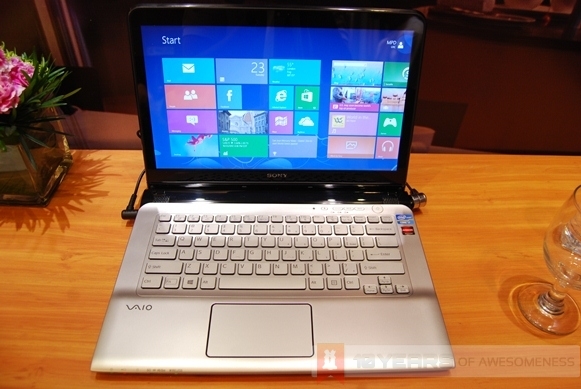 On the outside, the VAIO E Series 14P looks just like any other laptop (except perhaps for a slightly thicker display), but the display on this laptop is touch-enabled, unlocking the full potential of Windows 8 to the user. 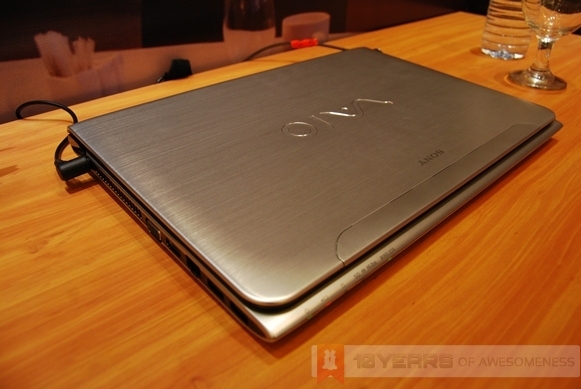 Featuring classic VAIO good looks, the 14-inch E Series 14P comes in a variety of Intel Core i5 or i7 processors and is even available with AMD Radeon processors. 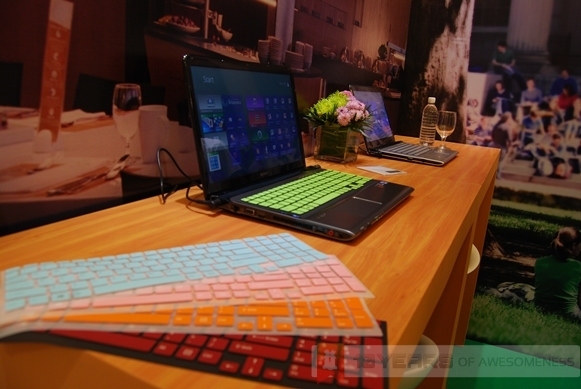 What’s more, Sony’s technologies such as xLoud, Clear Phase and also Exmor for PC are present here as well. 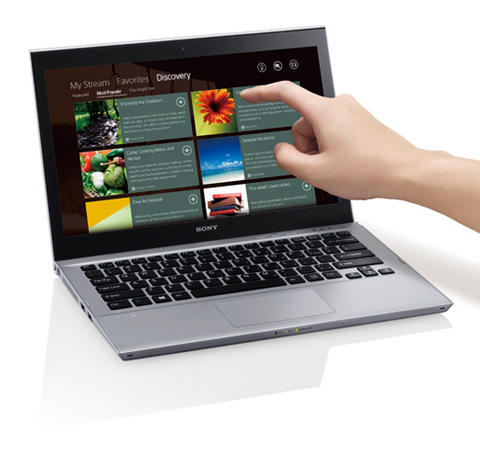 In addition, gesture control is also a new feature on the E Series 14P. Finally, the Silver/gun metallic coloured E Series 14P also has optional keyboard skins for further personalisations. 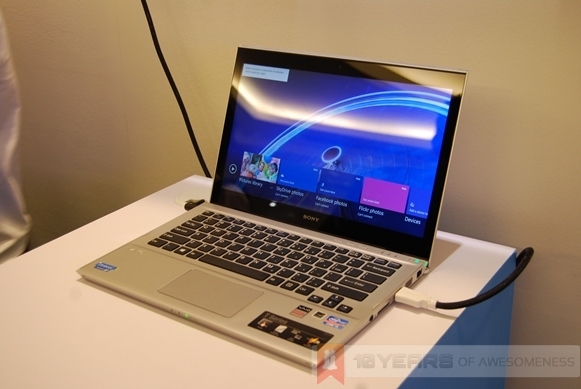 In addition, Sony has also updated its T Series Ultrabooks with touch-enabled displays. The T Series is made from premium material such as magnesium and aluminium, making it one of the more durable machines around. Running on the latest Intel Core i5 processors and utilising a hybrid hard disk drive with flash storage, the 13.3-inch Ultrabook will now also sport a touchscreen display, further increasing the intuitiveness of Windows 8. The laptops will be available at all Sony Stores nationwide. 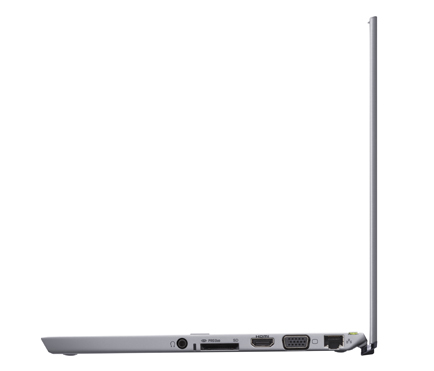 The T Series Ultrabook should be available now, while the E Series 14P will be available from the beginning of November. 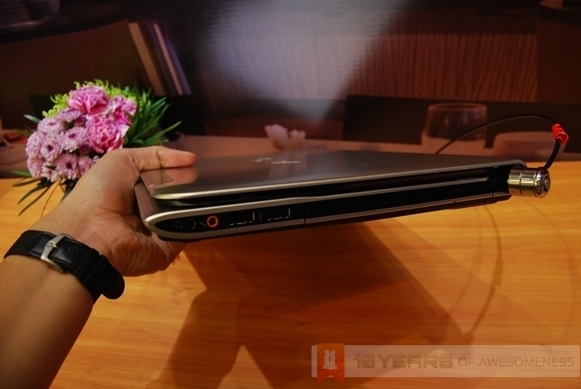 The T Series Ultrabook Touch will retail at RM3099, while the E Series 14P Touch will cost RM3199.